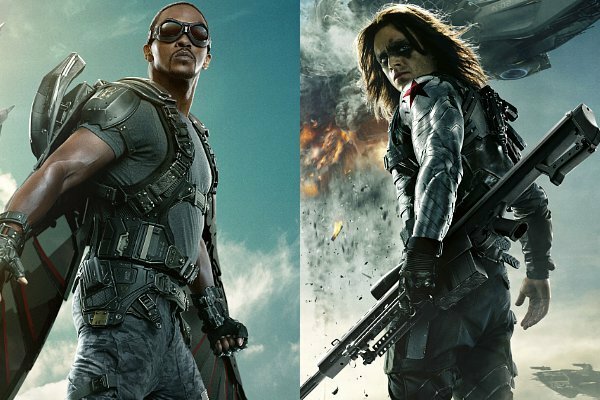 At the Salt Lake City ComicCon, actors Sebastian Stan and Anthony Mackie spoke on a panel with their fellow Captain America: Civil War stars about the film, and what the future of Marvel might look like. Post-Avengers, Captain America has steadily increased in popularity, and the success of the movie really changed the franchise. Chris Evans who plays Captain America shared recently that although he was at first hesitant to accept the role, he finds it, “mind boggling” now, and says that he would, “never forgive myself!” if he had chosen not to pursue the role. But with the asking price for actors growing each film and rumors that Evans is moving on to other projects such as directing, is it time for a new Captain America? Stan, who plays Bucky Barnes in the films, shared that he would happily take over the role of Capt. if Marvel execs chose to go in a different direction. Of course in the comics, his character does take over the role, and there has been some hinting of that potential evolution on screen with Barnes picking up Capt’s shield during battle. For now, Stan said it is all up to the fans on whether or not they want to see someone else take over. In contrast, Mackie who plays The Falcon expressed that there doesn’t need to be a change just yet. He reasoned, “I think [Sebastian] would be a great Cap, but then we’re left without Bucky. I think I’d be a great Cap, but then we’re left without a Falcon.” He also shared that Evans treats his role with great, “dignity and respect” and is doing a great job; good news since Evans let everyone know how he feels about potential recasting: “If Marvel wants me, they got me”.